Let me start off by saying, good luck to anyone attempting to bring a big glass bong into a festival. There’s a very strongly increasing likelihood of failure to sneak your bong in the bigger it is. The bigger your bags are the more chances that security will pay extra attention to what’s in it, so you generally want to stick to a regular sized backpack, especially if you’re bringing other even sketchier things in with you. That’s okay though because I think most people could admit that even a relatively small glass bong would definitely do the trick once you’re inside and enjoying the festival, so there’s no need to create extra risk for yourself just to get some fatter rips for a couple days. If it’s a festival that you’ve been to before in the past and you know that security is pretty relaxed, you can probably sit tight with a simple plan of action. I’ve been to Osheaga in Montreal, Canada a few times now and every single time my backpack was only given a quick glance. Security would open all the main pockets, but never made much of an effort to fish through everything under close scrutiny. Ya they move a couple things around at the top but they don’t both going all the way in there. If that sounds similar to your favorite festival and you really want to bring your cool little glass bong into the venue this time, you can do it very simply. 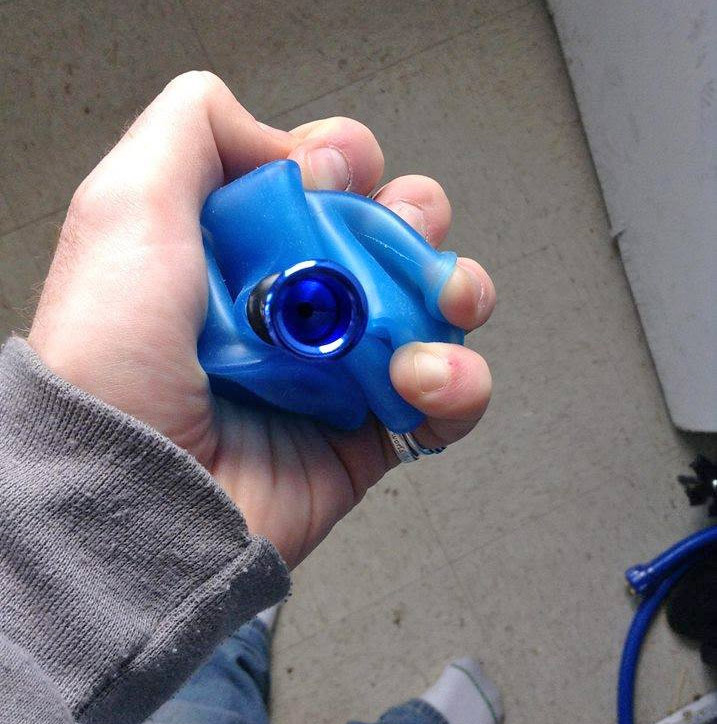 It’s important to understand that your worst enemy is the noise your bong might make bumping against a table, so you want to wrap it up nice and tight in a couple towels so that even if it’s at the bottom of your bag and placed down directly on the table, it won’t create any noise like hard glass hitting the table might. When you’re sure that it’s well wrapped up and padded, you want to just put it at the very bottom of your bag as naturally as possible, then cover it up with a sort of false bottom. You can easily sew some black fabric across the top of the bong so that the fabric needs to be pulled away for the bong to be revealed. Now just pile all your other festival essentials into your bag like normal, and there’s a very little chance of any security guards being diligent enough to unveil your secret bong hiding spot. No guarantees though, exercise as much caution as possible to optimize your chances!